Two policemen are involved in shooting a husband abusing his wife. Chief Inspector Adam Breen is leading the case but, as a police shooting, the Independent Police Complaints Authority (IPCA) is also called in to investigate. The investigator is an old adversary of Adams, known in police circles as the 'Smiling Assassin'. Dan Groves, local TV reporter always on the look out for a story, is covering the shooting when the IPCA representative, Marcus Whiting, reveals more facts about the case. Most sinister is the information that the police shooter was involved with an identical case less than six months previously. As the case progresses, information about the dead man starts to contradict initial reports. Whiting and his team follow up the leads, working against the feelings of the rest of the force who resent the implications of the enquiry. Whilst Dan is interviewing the family and friends of the dead husband in the shooting, Adam gets involved in investigating two unusual break-ins; a silent masked man breaks into two women's homes, stealing nothing but documents carrying their names, and leaves notes addressed personally to Dan, each with a sinister gift. The notes carry hidden clues and a promise that the writer will commit a more significant crime, which will make "the law be sorry". Dan and Adam work together to find the masked man. Along with professional code breakers, Dan tries to solve the riddles left in his letters. Before they have any solutions a small girl is kidnapped and another letter is left. Every step they get closer, the suspect seems to move further away. They still don't really know what he wants and why he is doing this, but the clock is ticking. Culminating in a chase on Dartmoor where most, but not all, of the answers are revealed, this book takes on the subject of internal investigations within the police and the public response to tough police tactics. 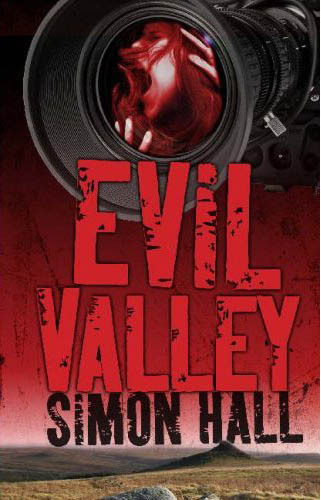 Clever and readable, once again Simon Hall weaves characters, plot and backdrops into a compelling story which keeps drawing you towards its end, and even then makes you want to go back and solve the clues yourself.